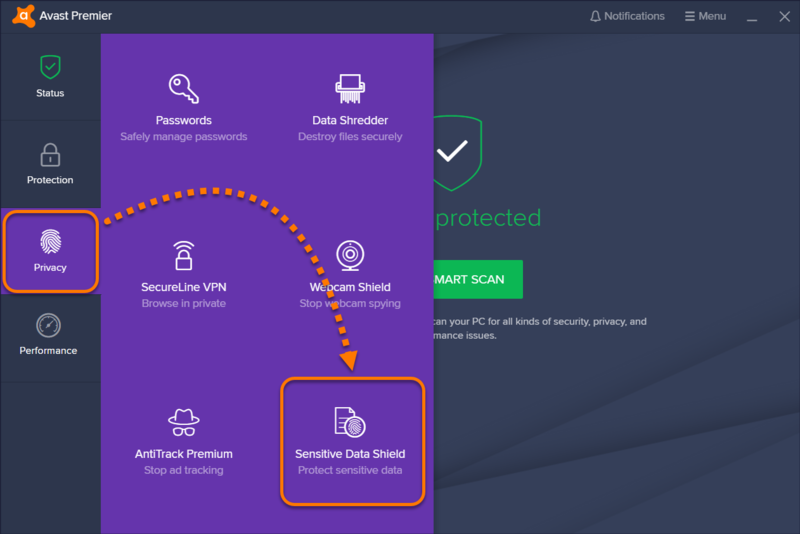 Open the Avast user interface, and go to Privacy ▸ Sensitive Data Shield. Click Scan For Sensitive Documents. 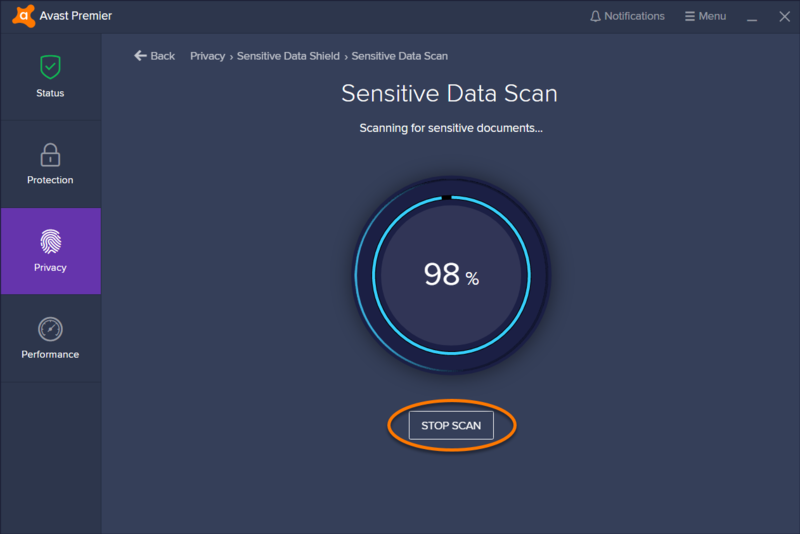 The Sensitive Data Shield starts scanning your PC for sensitive documents. If you want to stop scanning, click Stop scan. 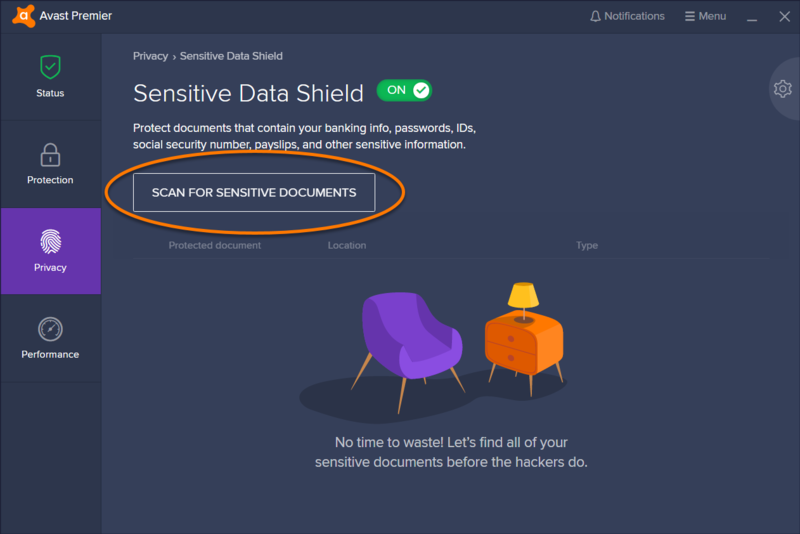 The basic functionality of Sensitive Data Shield is also integrated into Smart Scan, which can be run from Protection ▸ Virus Scans ▸ Run Smart Scan. These documents may contain your personal data. If malware or hackers attack your PC and get access to these documents, your identity can be stolen and misused. Click Protect all or Protect Selected at the bottom of the screen. Click Done to confirm the action and return to the main Sensitive Data Shield screen. 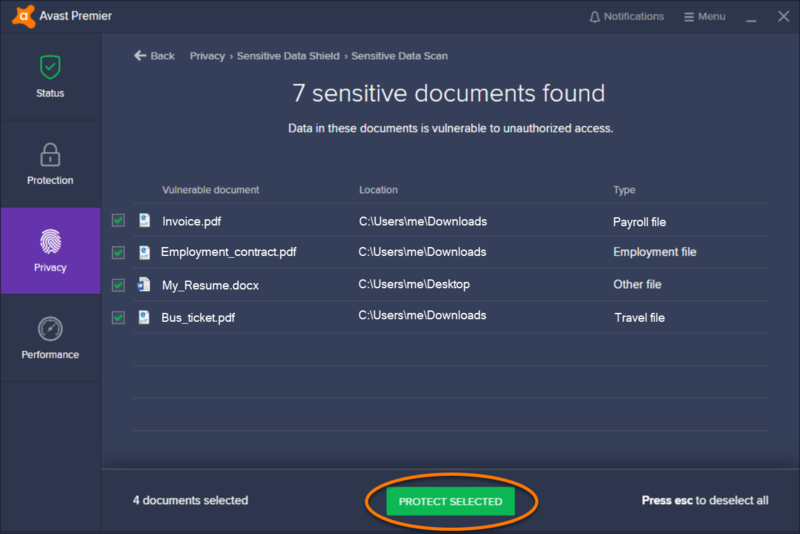 To stop protecting your sensitive documents, hover the cursor over the relevant panel, and click the X icon that appears. Click Stop Protecting to confirm. Your sensitive data is now protected. 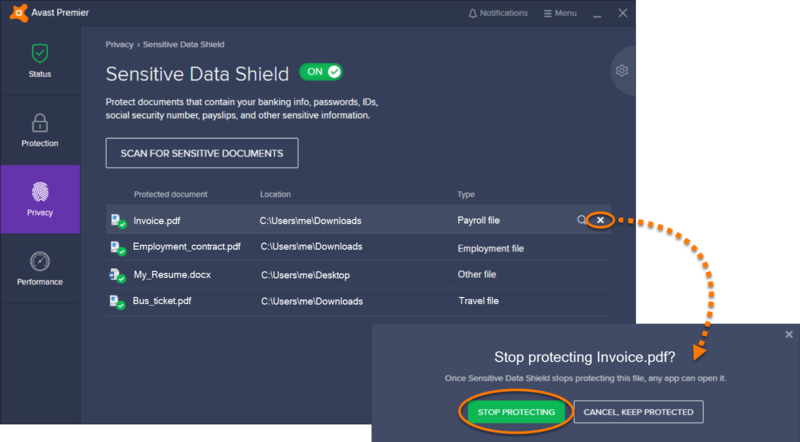 If any untrusted application, malware, or user who is not logged into your Windows account tries to access your protected files, Sensitive Data Shield blocks access or prompts you to confirm if the access attempt should be blocked. Disable Sensitive Data Shield: click the (ON) slider so that it changes to (OFF). We recommend keeping Sensitive Data Shield enabled at all times, and only disabling it for temporary troubleshooting purposes. View allowed / blocked apps: click this option to open the Blocked & Allowed apps screen. All previously allowed and blocked applications appear by default in the relevant list. To add a new application to a list, click + Block App or + Allow App and select an application from the default list. Optionally, click Select App Path, then locate the application you want to add, and click Open. 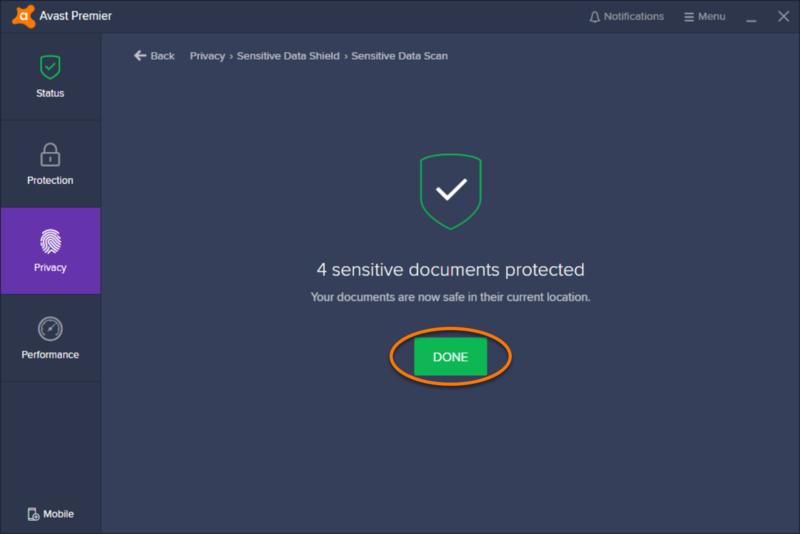 Tick the box next to Sensitive Data Shield to indicate whether your chosen application will be allowed to access, or be blocked from accessing Sensitive Data Shield. Click Add to confirm.